Please allow up to 14 days before shipping as all items will be created once ordered. 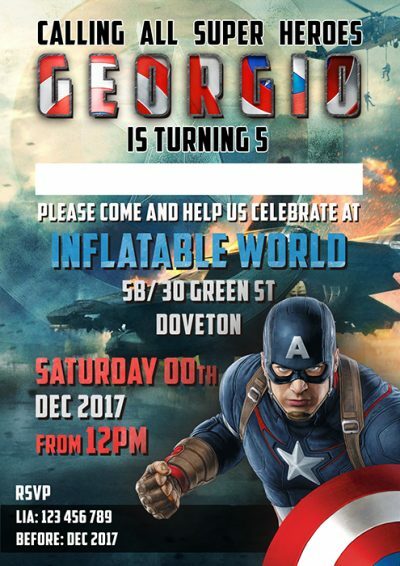 Are you throwing a party soon? 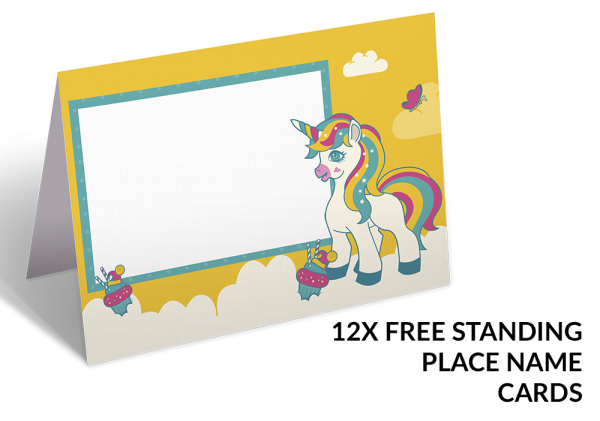 Then this Unicorn Party Pack is a must! 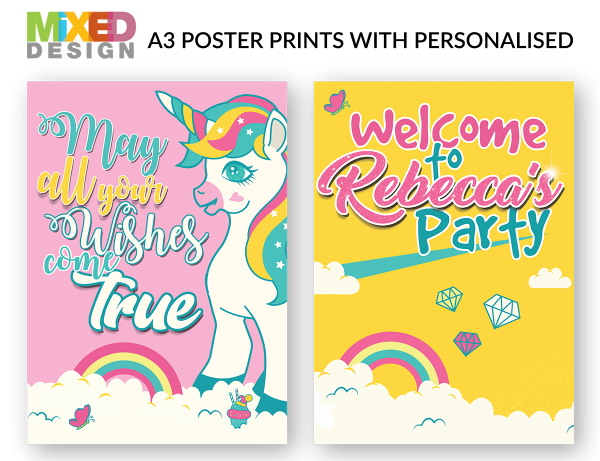 This Yellow and Pink unicorn party pack comes with all our party pack options in a beautiful Pink and yellow unicorn design. 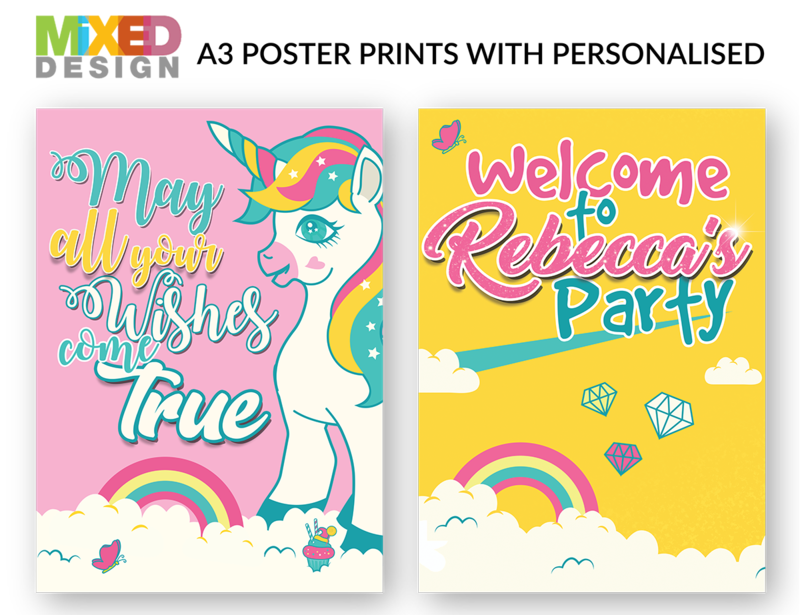 with a personalised Canvas banner, Personalised invitations, Place cards and A3 prints these packs set the theme for an amazing party. Important information - Please read the below. Make sure you fully understand before purchasing, we will not refund you based on timeframes. 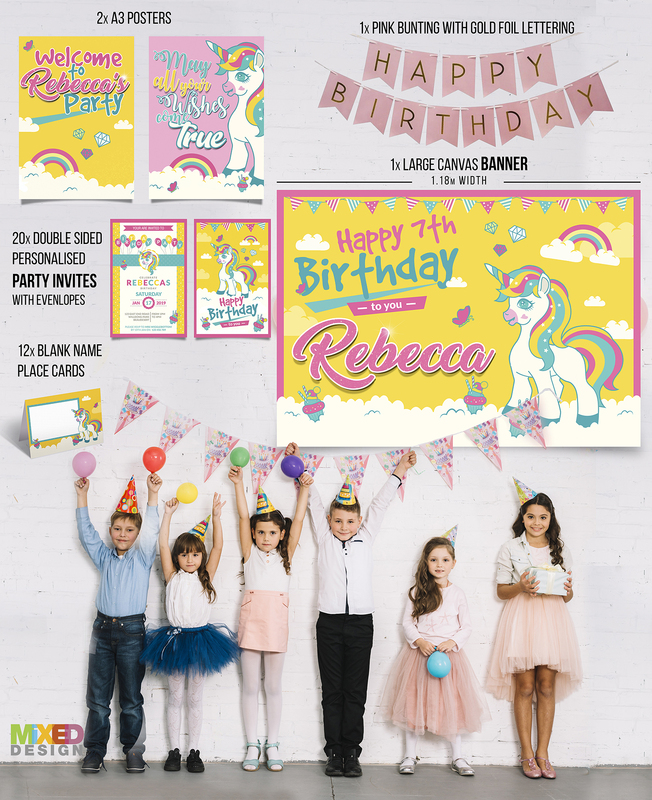 • All our party packs are Personalised and handmade, With some items printed off site which the time frames are out of our hands. • We do try our best to get everything done and processed before the 14 days, But this is not always the case. What do you get in our party packs? 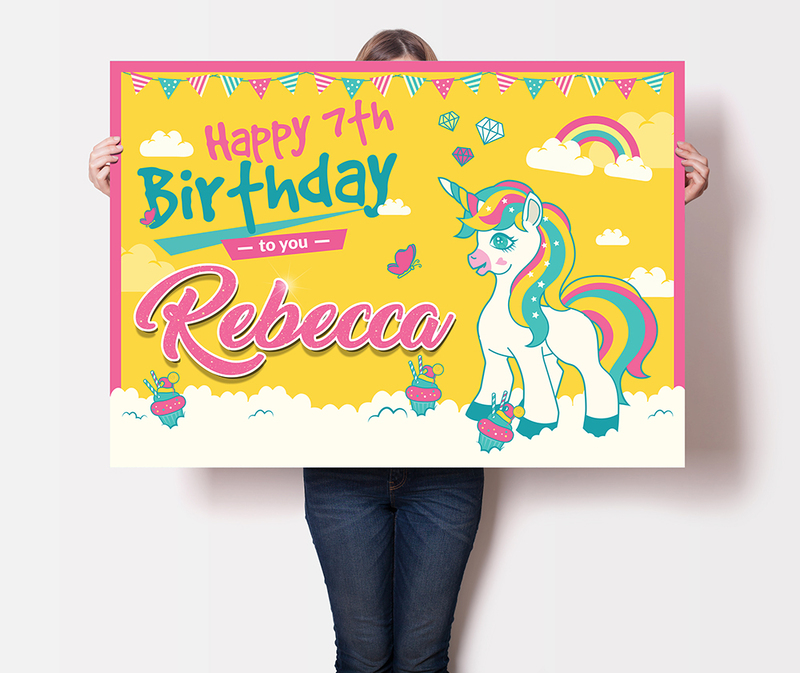 • Our Large Personalised Canvas Banners are LARGE they are 1.18m Across the longest edge by 84cm along the shorter edge. These are made to stand out and be a focus point for any party. • Our Banners are printed onto lightweight and strong synthetic poly-fibre canvas with archive grade fadeproof pigment ink. These are very difficult to rip or tear and are 50x stronger than standard paper. • No more Creases, While we need to fold the banners for shipping the nature of this canvas means you CAN IRON it to remove any creases! You can remove creases and fold lines by gently hand ironing the BACK side of the print . Temperature: The polyester setting on the iron is a good temperature to use, or ~130 to 150 degrees Celsius. 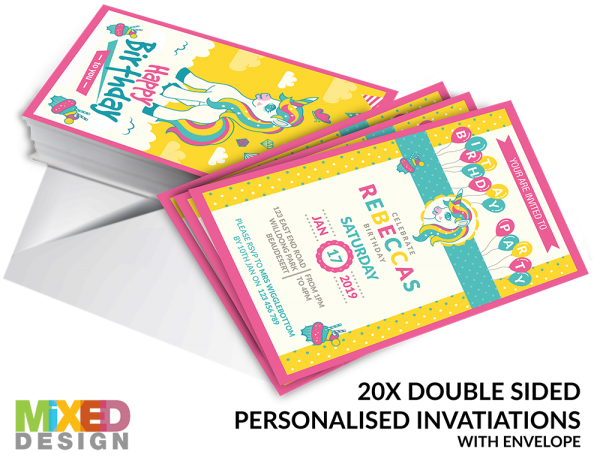 • You also get 20x personalised and double sided invitations and envelopes with our party packs in the matching theme. 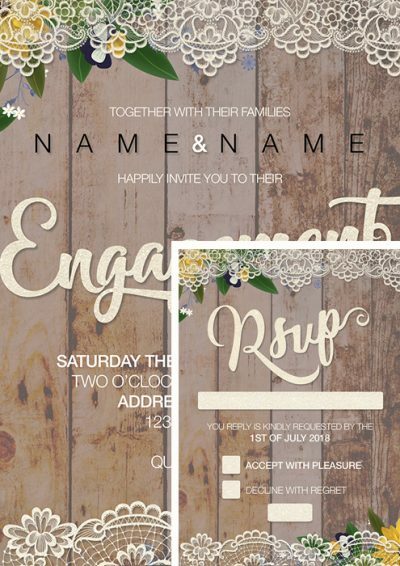 Supply all the required details above before adding to the cart and we will make the invites for you with all your provided information. We will sent you a draft of all the details before sending to print. Once you have confirmed the details are correct we will send to print and no further changes can be made. Please if you need changes let us know ASAP. No refunds will be provide for change of mind. • These blank name cards can be used for table name settings or as labels for foods etc. • They are 10cm x 14cm in size. • Our packs come with multiple A3 posters. • All our A3 posters are printed onto a 200GSM silk finish card and in a plastic sleeve to protect the print. 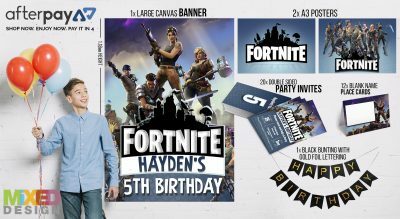 All party packs will have at least 1x personalised design. 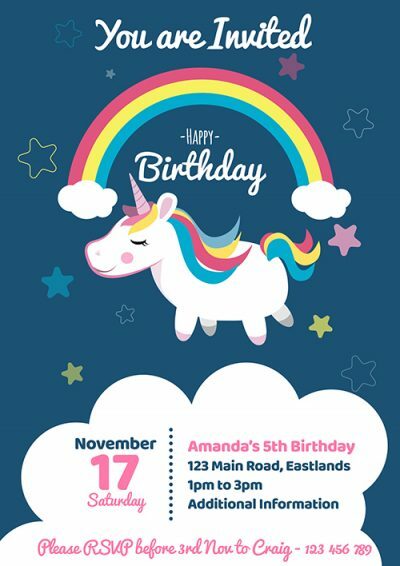 • Happy Birthday gold birthday party banner. Sometimes we also include a free gift Just a little thank you from us. We are open to some design changes etc But please contact us with your thoughts before purchasing to see if it would be possible.